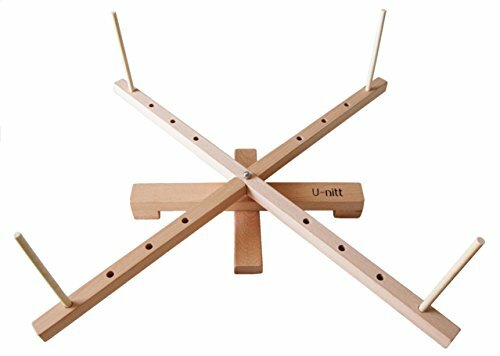 This is a U-nitt brand medium tabletop yarn swift made of solid wood. it is hand sanded to a nice finish without use of harmful toxic material. it is easy to set up and dissemble. it has an adjustable circumference from 24" up to 60". It sits on your tabletop and spins freely to feed your yarn winder. Satisfaction guaranteed with full money back. If you have any questions about this product by U-nitt, contact us by completing and submitting the form below. If you are looking for a specif part number, please include it with your message.